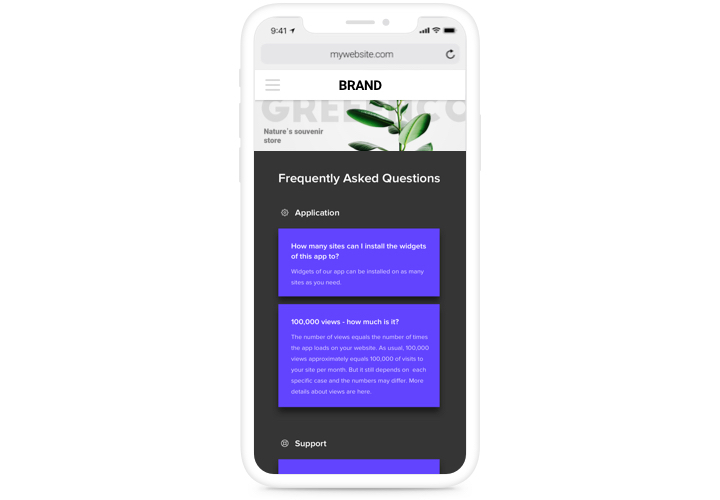 Elfsight FAQ is an effective and easy to apply and customize app to generate and publish a list of the most requested questions with answers on your personal site. An informative plugin with intuitive design gives you a chance to share complete data about your business, pay readers’ attention to product’s advantages and prevent all expected misconceptions and suspicions, which could stand in the way to purchase. Address questions coming from users right on your website maximum fast and raise conversion level! Eliminate any misconceptions visitors may have and raise your sales. 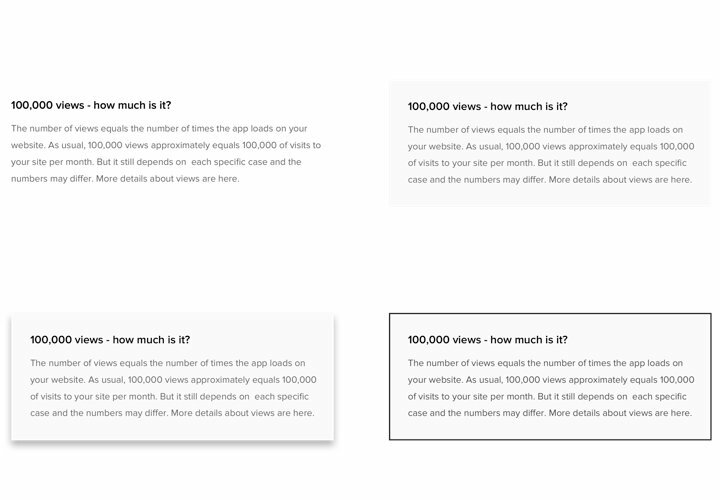 Demonstrate detailed information about your products or services to your probable clients, to break any fears and level up revenue on the website. Create an ideal image of your business among readers. Help your users to get the right perception of your company and its business model, to eliminate their doubts and help them initiate cooperation. Lower down time and price of customer support. Provide answers to all the most frequent questions in terms of your goods or service, to take away the extra loading of your customer support team. 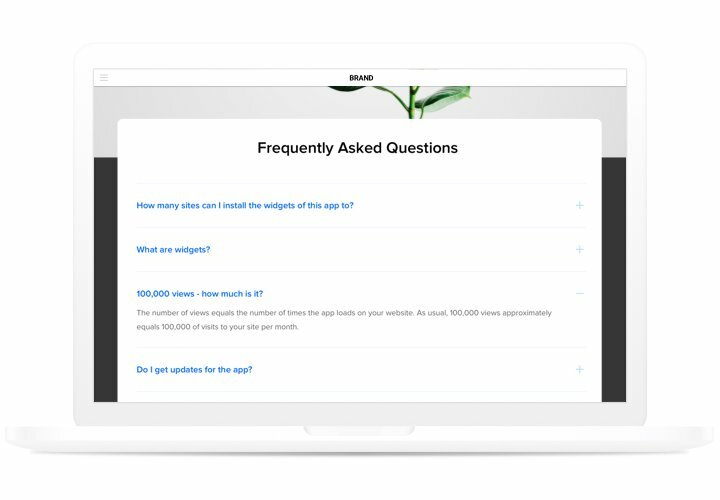 The most prominent features of Elfsight app, which allow it to become the fastest tool to display FAQ on BigCommerce website. Set up a app following our brief manual. No need to have experience in development, or to get a developer to help you – it’s intuitive! Total setup duration is only 2 minutes. 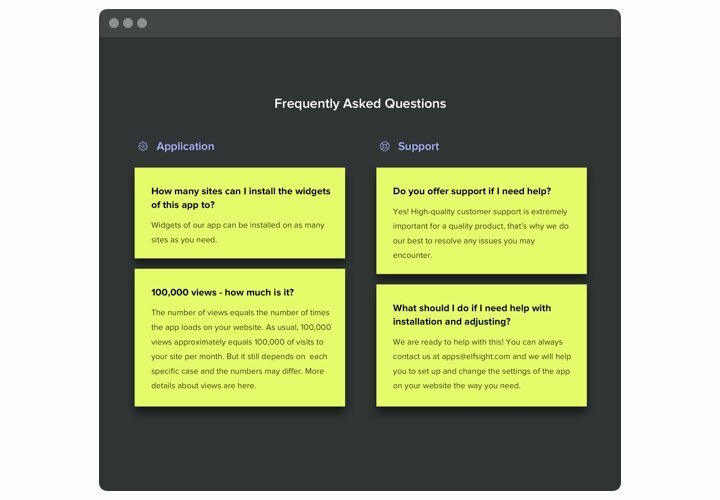 Press «GET THIS APP» on the page with FAQ and insert the app to your website. On this stage, in «My Apps» section, specify the content text and parameters of the appearance. Insert app on your site. Open «Storefront» «Web Pages», find the page where to install the app and insert the widget code there. Enter your store, to see your results! Have stumbled on queries while applying the guide? 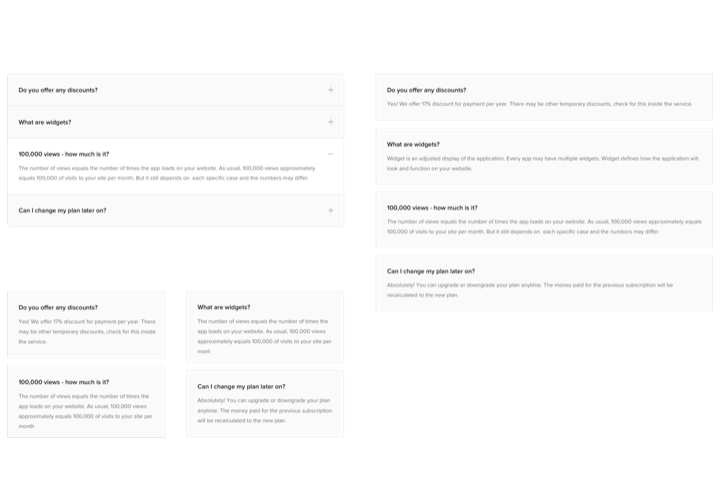 Send a message to Elfsight support service or see the full variant of the instruction «How to add FAQ to BigCommerce» and finish the adding on your own. 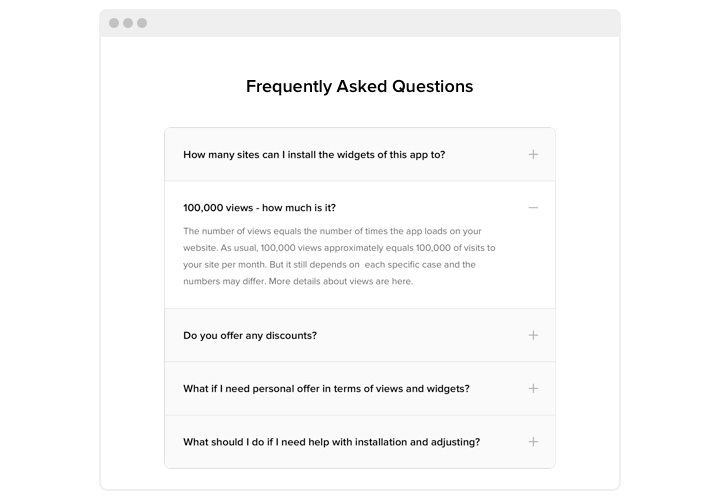 Set BigCommerce FAQ app in only 70 seconds!